You are here: Home / Apple iPhone 6? Curved display. However, there are questions to be asked. Just because a display can be curved doesn’t mean it should be. Form factor might be difficult when holding the phone, your fingers will be wrapped around the phone and perhaps on the display which would wreak havoc on the multi touch display for gaming. The supposed size of these devices would be 5.5″ and 4.7″, so this could possibly be the iPhone 6 and 6C. Two analysts with a good track record for predicting Apple iPhones have weighed in and they believe that Apple will release a 4.7″ iPhone by September 2014. 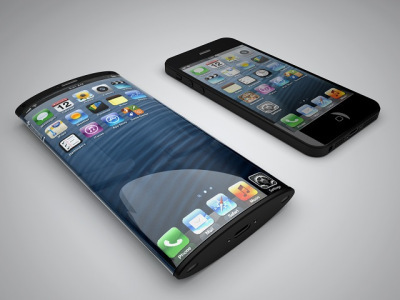 As we get closer to September we will see more and more rumors about what Apple will do with the new iPhone 6.